During the winter, I miss snow. I begin to miss the United States. I begin to miss home, Cleveland, Ohio, as well as my college home, New York City. I miss not having to worry about whether my phone is charged so I can pay for things using Wechat or call a Didi, and doing homework in Gramercy Bagels on a Saturday. And the $1 slices at 99 Cents Pizza on W 55th St and Broadway? I miss those too. Studying away in Shanghai, a city of 25 million people, may seem a bit intimidating, but actually it’s quite nice. Everyone is super friendly, the subway is remarkably reliable, food is cheap, and most of all, the atmosphere of the city is beyond welcoming. You adapt to the way of life here pretty quickly, like holding your place in a crowd as if it’s a line, always carrying a portable charger to keep your phone charged, or becoming familiar with the subway lines to get around to your favorite spots. There are many distractions on campus - many clubs to join, and friends to be made. But when homesickness hits you hardest, sometimes it easiest to look for the things that remind you of home. Bright lights, tall buildings, and lots of people taking photos? At the Bund, you’ll feel like you’re right at home in the most touristy area of your city or in a place like Times Square in New York. With multiple malls and designer shops along the Bund, you can embark on a shopping spree. 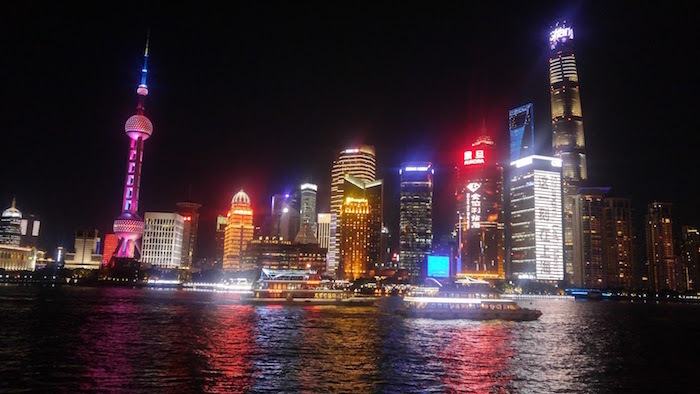 Visit the Pearl Tower and you can see the Shanghai skyline from the inside, as well as enjoy the multiple attractions they have in the tower (psst, there’s a rotating restaurant inside). Or you could just enjoy a walk along the Puxi side of the river and enjoy the view of the Pudong side (in the photo above). Starbucks is all over China. The menu may differ from the one you are used to, but it’s still the same green queen that you love. Grab a drink, take a seat, and enjoy some free tunes and wifi. Sound familiar? Like something you did or still do at the Starbucks back home? It does to me. Luckily, there’s one located right next door to NYU Shanghai. You can grab your laptop, homework, and head right over to get some work done in peace. You can also just go for a procrasti—coffee break. By the way, some Starbucks here also deliver, depending on location. We all like to get that occasional café pic for Instagram, and Shanghai has a lot of cafés that are worth being photographed. 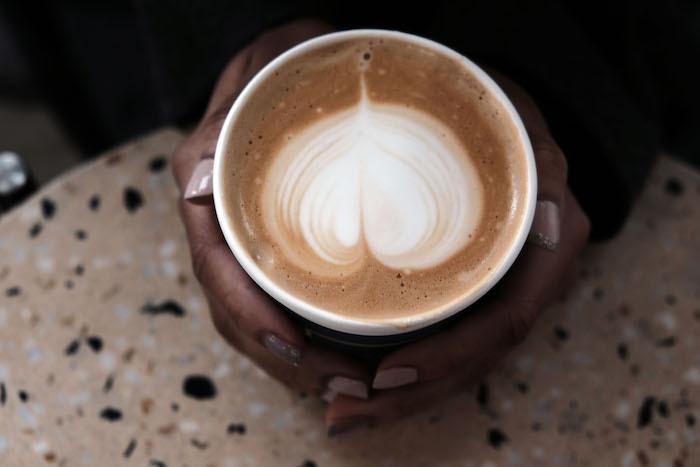 Cafés are located in almost every district with most being in Xuhui, Jing’an, and Pudong. The styles of the cafés all vary with different themes and types. There are book cafés, concept cafés, and exotic ones like cat cafés. All of them are worth the travel and one of them may remind you of your favorite cafe back home. If you aren’t that person who goes to cafés to get an Instagram pic but to do work instead, you can do that too. These places are all very cozy, aesthetically pleasing, and relaxing. What better to remind you of home than something that’s also at home? Disneyland. 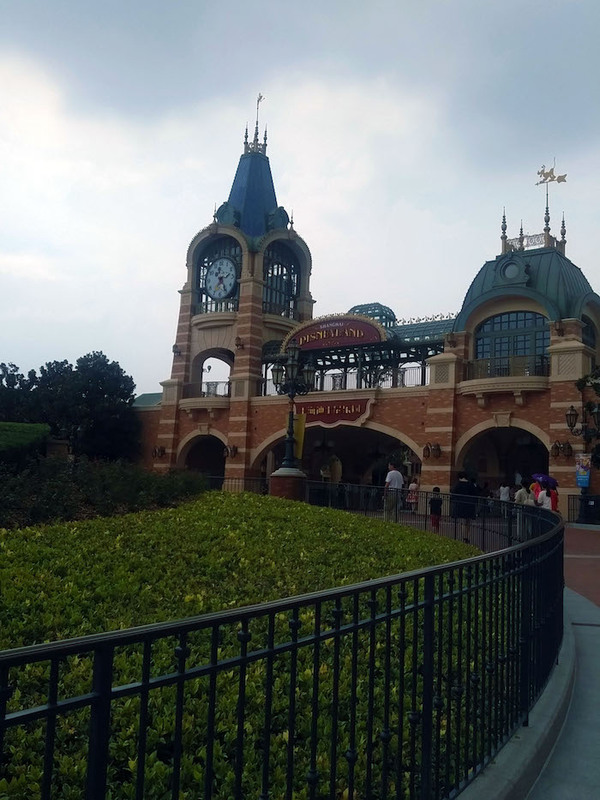 Shanghai Disney has all the same princesses and princes, gift shops, and the awesome firework show at the end of the night, just everything is in Chinese characters instead of English. It isn’t the same as home, but it is one thing that you can do here that you have probably done back at home. If you haven’t, it’s an amusement park, enjoy it. I recommend riding the TRON Lightcycle Power Run, a short, fun motorbike-style roller coaster, and Pirates of the Caribbean Battle for the Sunken Treasure, an indoor boat thrill ride. Most dining options are located in Disneytown, Treasure Cove, and Mickey Avenue. I, personally, fancy Barbossa’s Bounty, located in Treasure Cove. Boats also sail past the restaurant into the Pirates of the Caribbean battle for the Sunken Treasure. You kind of get a two for one: entertainment and good food. Individuals on the ride, on the other hand, are teased from the delicious aroma arising from the restaurant. You might not be cured completely of your homesickness, but these places might just take the edge off. And getting out into the city is one of the best ways to make sure homesickness doesn’t completely consume you! Shy Mitchell is a junior majoring in Global Liberal Studies (concentrating in Critical Creative Production (CCP)) and pursuing a Mandarin and a Web Programming and Applications minor at NYU in New York City. From Cleveland, OH, she is interested in the arts, visual cultures, and writing and spends most of her time creating original content. She is currently a student worker and social media ambassador for NYU Shanghai's Marketing and Events teams, which supplements her studies in CCP. Feel free to contact her at sem657@nyu.edu, follow her on Instagram @smlynn9901, or check out her blog. Read sophomore Susan Zou’s blog on homesickness here. Homesickness is challenging, but there are ways to conquer it.